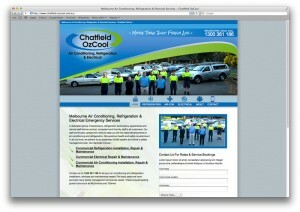 Chatfield OzCool specialise in Air Conditioning, Refrigeration & Electrical services. 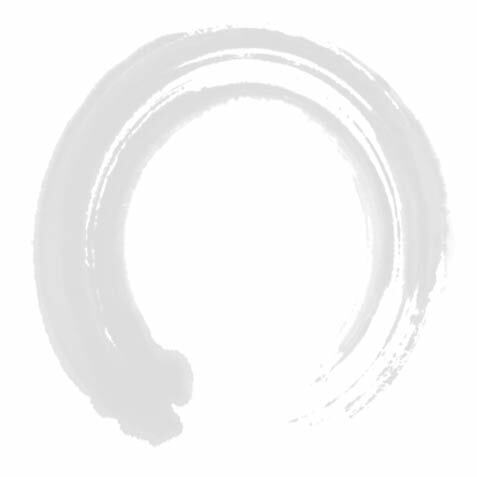 Recently, zen10 had the pleasure of developing a new website for the Melbourne based company. 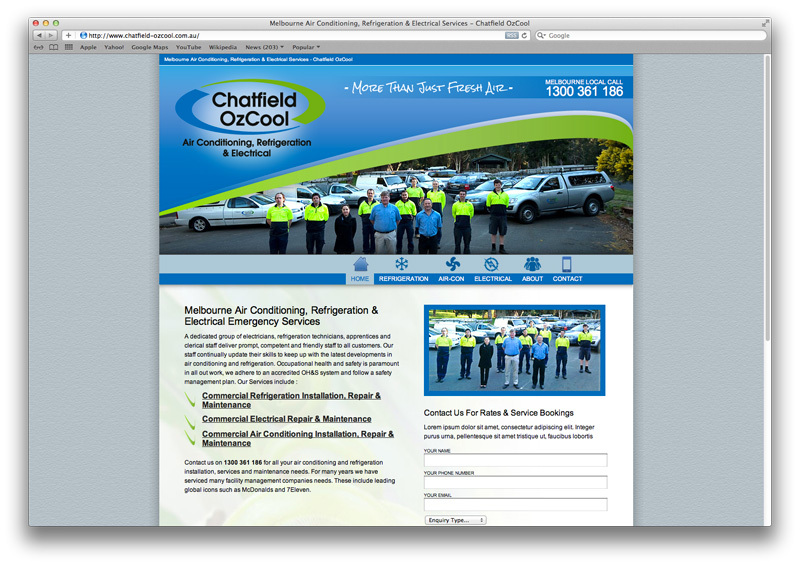 The new website was built using the WordPress CMS to allow the team at Chatfield OzCool to take full control of the website. The great thing about using WordPress as the CMS is it’s simplicity and functionality, allowing any changes to the site to be implemented with ease. Like most of the website’s we develop here at zen10, the new Chatfield OzCool website features an online enquiry form and gallery management feature to showcase their previous work and services they provide.